Are you looking forward to designing payslips for your employees and workers? You will be getting so many diverse options online for creating a payslip but it will be too time-consuming and to choose the appropriate one among so many available options will never be easy. So to make your job a lot easier, we have come up with our freebie of the day – Payslip Template.Our expert designers have prepared this Payslip Template freebie with a professional layout and design that any business organization or company can use efficiently. 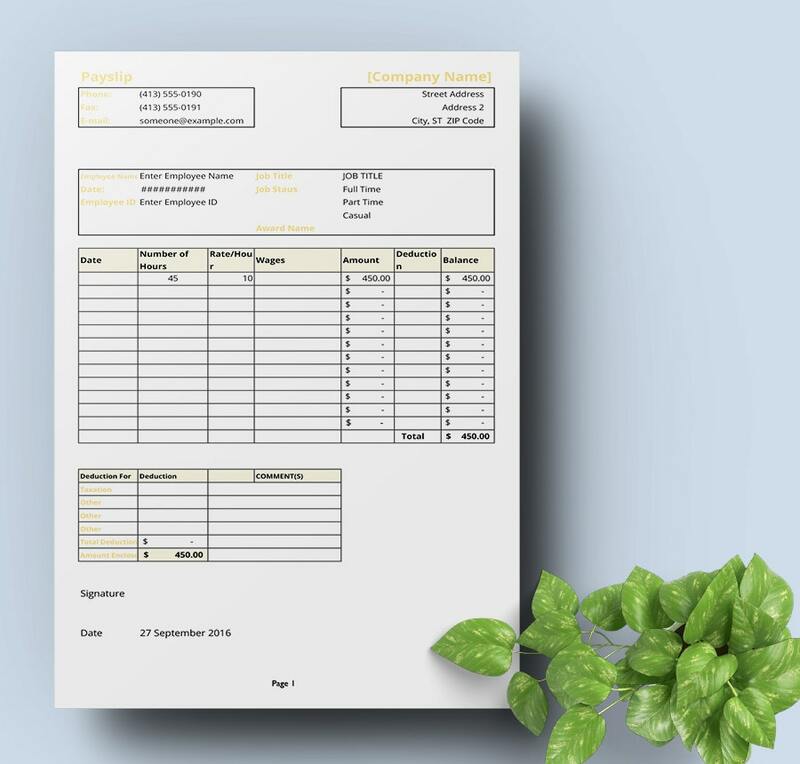 Our print-ready Payslip Template is available in regular A4 size and is easily editable through MS Excel, Adobe PDF, and MS Word. 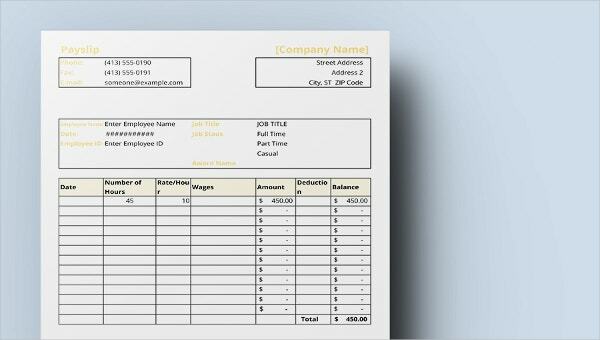 It is also available with a high-resolution and such features of our Payslip Template freebie make it tremendously popular amongst human resource departments in several firms.And the best part about this Payslip Template is that it offers spaces to fill in the salary details of the employees, tax deduction details, the name of the firm, the address of the company and other such vital information.So go for this Pay slip Template freebie and create payslips for your employees in a simple manner like never before.